Is Panama City Beach Pet Friendly? Considering bringing your four-legged friend to your vacation property in Panama City Beach? It is possible because Panama City Beach is very pet-friendly. Panama City Beach not only has several beaches and parks available for dogs and pets, but restaurants, condominiums, and vacation rentals can be very pet-friendly as well. Here are some of the best resources for pet-friendly vacations in Panama City Beach. There are about 100 public beach access points in Panama City Beach but only access points 56, 57, and 58 lead to the pet-friendly area of the beach west of the city. And across the street from Pier Park. This is located at 16201 Front Beach Rd. Of course, as with any pet-friendly area, please clean up after your pet, but there are options and resources available for this at these beach access points. Frank Brown Park is located at 16200 Panama City Beach Parkway and features a fenced in dog park for them to run and socialize off the leash. There are dog-friendly trails and Greenway paths as well. Aaron Bessant Park is a dog-friendly park adjacent to Pier Park and it’s home to summer concert series on Thursday nights as well. Bring your pet along, make sure you clean up after them and keep them on a leash. 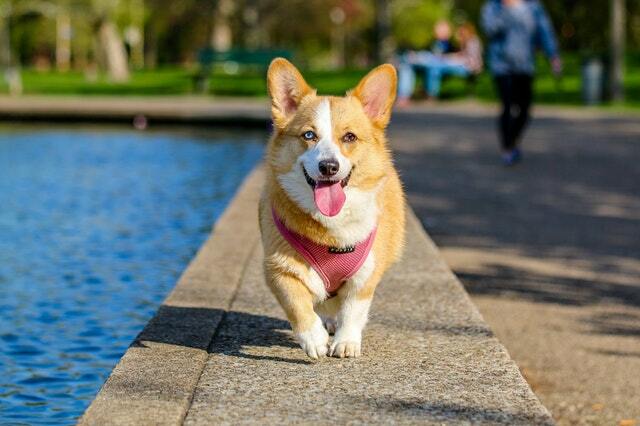 Pier Park is an outdoor shopping mall is also pet-friendly. If you want to stroll through the shops and window shop, you can do so with your dog on a leash and some of the restaurants therein allow pets in their outdoor seating area. 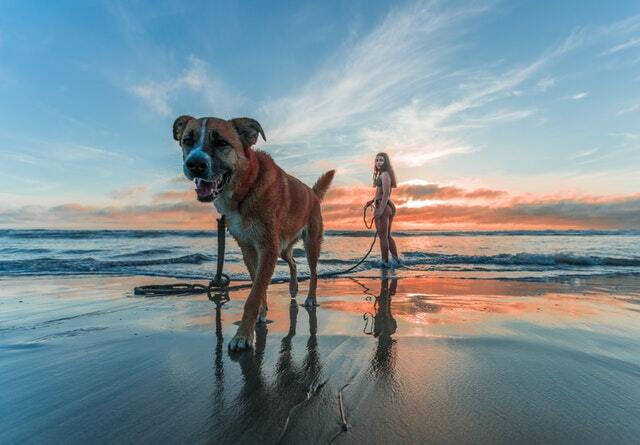 Of course, most shops do not allow pets inside but Ron Jon’s Surf Shop will allow dogs indoors that can be carried. Of course, all the pets must be on a leash at all time. Conservation Park features nearly 3000 acres of trails and Boardwalk ideal for exercising with your dog from sunrise to sunset. There are 12 different trails to choose from allowing walkers and joggers to check out beautiful Northwest Florida’s Flora and fauna up close. You can access this park at the north end of Griffin Boulevard. The Sheraton Bay Point resort allows pets and there’s no weight limit or applicable fees. 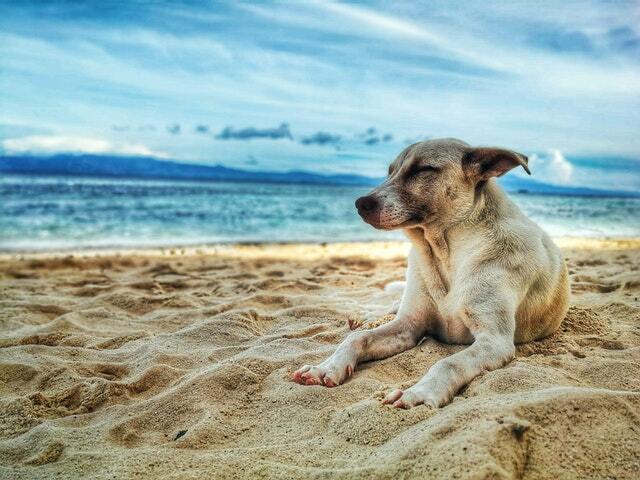 The Board watch Beach Resort is pet-friendly and allows for up to two dogs per room in all sizes. Pets must be identified at the time of reservation. Carillon Beach Resort allows for to pets per room up to 60 pounds each with a $75 nonrefundable deposit. Château Motel is in the center of Panama City Beach with low rise hotels and pets under 15 pounds are welcome in pet-friendly rooms with a nonrefundable $50 reservation fee. 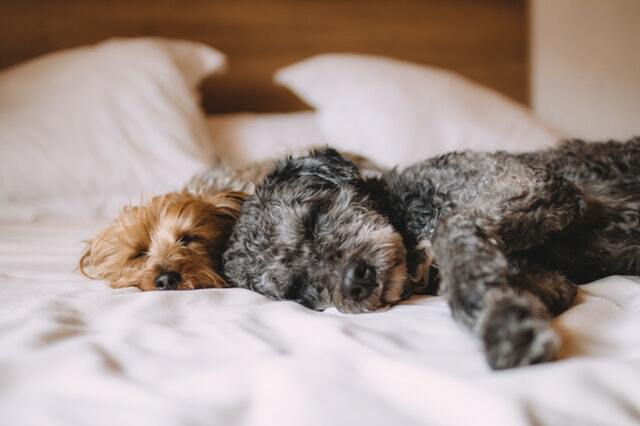 La Quinta Inn is one of the most pet-friendly accommodations in a Panama City as they offer pet-friendly rooms for all sizes at no additional cost. Pineapple Villas, located on Laguna Beach, this west end of Panama City Beach resort features options for pets and makes them feel like they are on vacation as well. There are fees based on the pet size and are limited to two pets per room. Sandpiper Beacon Beach Resort is a great option for Panama City Beach condo rentals and investments for the entire family. It hails as one of the leaders in pet-friendly hotels in Panama City Beach. Small dogs are allowed with a $20 per pet fee. Wisteria Inn is a cozy, adults-only resort just minutes from the beach. In Santa Rosa Beach, just minutes from Panama City Beach, you can actually go to the Beach Ready Spa, where you can get your nails done while your pet relaxes right next to you. 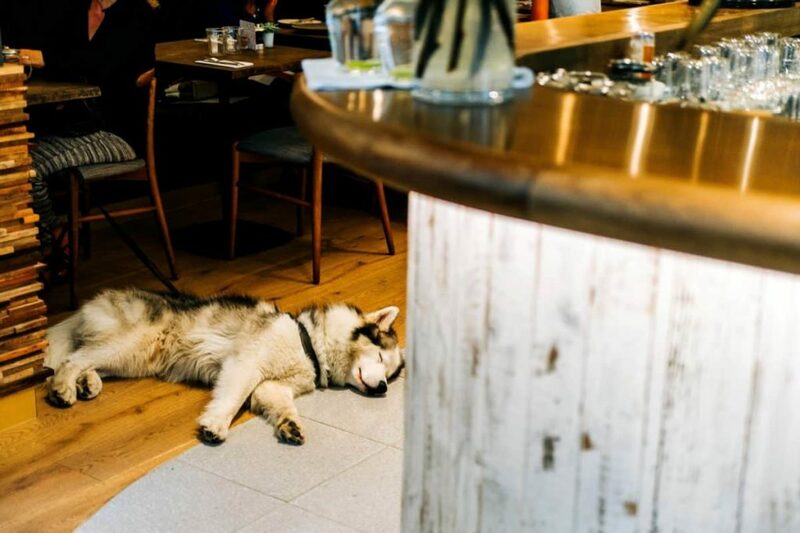 There are several restaurants where you can bring your four-legged friend either inside the restaurant or in their outdoor seating area. Hook’d Pier Bar and Grill is a great option for delicious beachside flavors like shrimp tacos and poke nachos. Salty Sues is a great place for steak and lobster, high-end dishes, and fabulous local flair. Pineapple Willy’s is the place to be for beachside eats. Enjoy one of their signature margaritas, fabulous tacos, grilled fish and more. Patches is a fun place to bring your four-legged friend for a pitcher of beer and a great pizza. Finn’s Island Style Grub is perfect for a quick lunch or a healthy smoothie. George’s at Alys Beach is just up the street from downtown Panama City Beach and offers outdoor seating with luxury fine dining options. Another Broken Egg Café serves up delicious breakfast favorites, hometown skillets, and crispy potatoes. The Brass Tap is perfect for an afternoon cold one, will people watching, and beach hopping. Pompano Joe’s offers great local flair and outdoor seating with delicious seafood such as grouper, mahi-mahi, lobster, and oysters. There’s a great selection of tropical drinks and beers as well as a kids menu. Panama City Beach is definitely pet friendly and if you’re looking for a condo building along the beach perfect for vacation rentals or to purchase your own a vacation spot in our beachside town, feel free to browse listings or give me a call to narrow down your search to exactly the right accommodations for your needs and your budget.